Master Kathumi – I greet you with a deep respect and warmth. Times are changing and the energies of Ascension are heightening across the globe. There are many deaths, tragedies and events that are rocking the foundations of what people think they know and what they hold to be true. There are also many untruths continuing to be revealed that have shocked humans to the core. Deep-seated beliefs are being shaken and brought into question and this is not without reason; change for the better could not happen if one were to go through a whole lifetime without being asked to question one’s own truth. As much as one may wish to remain accepting of what one has always believed, it is not in the best interests of Ascension for humans to remain blindly faithful to beliefs when divine oneness and access to divine wisdom are so readily available. 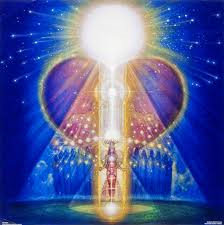 All humans are part of the divine plan and as such hold divine wisdom within their beings. Some will access this knowledge in their lifetime and others will choose not to. There is no judgement for decisions made in this regard. However, the opportunity to reflect and review beliefs in the face of conflicting information is a wonderful opportunity to grow as a human and also as a spiritual being in oneness with the Divine Creator. If your beliefs in religion, in God himself, in homosexuality or any other social issue has been challenged of late, I urge you to reject the impulse to ignore the challenge. Face it with bravery and frankness and be open and honest to the possibilities. Weigh up the evidence against the truth of your own convictions — are your beliefs well-founded or are they grounded in family tradition, religious indoctrination or societal expectation? Could there be some element of truth in what you have seen or heard, even if it goes directly against the grain of what you have always held to be the truth? Are you holding onto what you believe because you are afraid of change, being ridiculed or judged? Are you able to be true to yourself beyond the opinions or judgements of others? Be open to these challenges and to giving new beliefs a chance. Your beliefs create your reality after all! The truth of the Universe is not grounded in religion or indoctrination, nor can it be found in any library on Earth. It can only be found in every human being walking the planet today, because every ‘being’ comes from the light and is therefore one with it, whether they are consciously aware of this fact or not. In this connection lies the secret that seems to evade many humans who are trapped in the physical world and who have become blinded by the illusions of the Third Dimension: that every human is connected to each other through the unconditional love of the Creator and are therefore ONE with him and each other. The highest truth is that God the Creator is not separate or more supreme than humans but is one and the same with them, therefore, the truths of the Universe and the Universal Mind are available in the consciousness of every human being alive on the planet today. When humans raise their consciousness to the highest vibration which is that of unconditional love they are in the energy of the Creator and Oneness. They will thereby have available to them the greatest knowledge and wisdom and will instinctively know how to create wondrous events in their life. The powers of manifestation for the greater good but for one’s highest and best are available to all who operate from the energy of love, gratitude and service to others and who wish to create a better world for all. Belief in God is essential but the attachment to religion is not, for as soon as one puts conditions on God’s love, which is the way of all religion, they are no longer in the energy of oneness and unconditional love, which is the only energy that can be associated with God. All other beliefs create separation, duality and conditions of disempowerment and disconnection amongst humans leading to the global problems that exist today. The only truth that is important is that God the Creator’s love for each and every human is unconditional and unlimited. Connection to God is intrinsic to the human existence and is available through one’s own consciousness. Because all in the Universe is one, the spirit of God is your own spirit and, by connecting to your own divinity, you will bring the unconditional love and light of Creation into your being and shine it out to the world through the love you give to others. Be the light that you wish to see in the world by shining your light out to it. Your light is God’s light – there is no separation.